Learn how Successful Software's Custom Software Product Design and Professional Services can help you achieve more in less time by creating innovative software solutions that benefit your business. 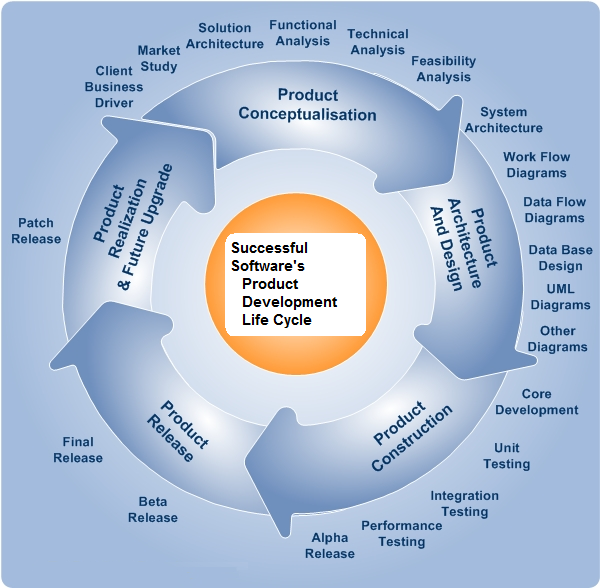 Successful Software’s Product Design and Development encompass the entire spectrum of the Product Development Life Cycle. We have tailored our technology offerings in line with the typical requirements of our clients. Our services are structured in line with processes and practices that are critical to our clients' business. Product companies require an IT partner that can provide them with faster time to market, by converting their technical and business ideas into stable and robust products. With proven expertise in Rational and Agile processes, Successful Software offers product design and development capabilities that follow the philosophy of Feature Driven Design. Our processes and technology used help in realizing clients’ requirements and delivering smarter products in shorter time frames. We allow for flexibility in the development processes, based on our clients’ internal processes. At the same time we ensure to follow a solid process, as defined by our internal benchmarking of best practices. Our emphasis on innovation and process improvement ensures that we offer options and alternatives to help our clients decide on the best technological solution for their requirements. We add value to our customers, throughout the product development, life cycle. In Successful Software we have defined and thoroughly researched various software product development dimensions. Our experience and robust product development processes have been finessed along these dimensions. These dimensions ensure success for a new product development initiative and affect its long-term sustenance. This is evident from our emphasis on 'Right-Designing' along each of the defined dimensions, throughout the product development exercises that help in providing the extra edge to our client’s product. Thus our software product clients achieve faster time to market and they are able to provide enhanced end-user services through an optimal technology interface. The resulting software we help create is always of the 'award-winning' category. Our engagement model and process methodology ensures product success within the defined timeframes, and budgets. Successful Software works as an extension of the client's engineering team and offers Professional Services that cater to a variety of specific client requirements. Successful Software has established a Migration program that offers a rapid and secure process of moving your strategic applications to the new environment. This also caters to optimization of the basic application, as per requirements. Successful Software has created methodical processes to handle these requirements, while helping maintain predefined service levels. We have captured the common issues of significance in an automation or migration situation, into a knowledge base. We have also devised recommendations for making appropriate choices based on the unique set of requirements of each application.